As late as 50 years ago, people who were entering the military were found to have pretty bad teeth. This is mostly true because there had been no real guidelines as to how people should care for their teeth. As a consequence, the dental organizations made the decision that there should be some positive action as to the creation of standards that could be applied in the area of preventive dentistry. Up to that point, the dentists had mainly been fixing problems, and not spending a whole lot of time in the prevention areas. At the time of these findings, there was not a lot of data to go on in the area of how often a person should be checked as far as dental hygiene, so a “best guess” estimate was made in that it would be recommended that dental patients should be seen at least twice a year for dental observation in the way of checkups and teeth cleaning. By getting a regular checkup, the dentist could then examine the teeth very closely, fill any cavities that would have developed, and clean away the plaque and tartar that tends to accumulate on the surfaces of our teeth. Plaque is a sticky film that remains as a residue after eating. Even when we brush regularly, there is a bit of the plaque that is left. The plaque will tend to harbor bacteria, which of course will work its way into the enamel of the tooth, decaying it. The plaque will harden over time, and then penetrate under the gum line of the teeth, causing gum disease and more problems. The period checkup system has done a great deal over the years in helping people to have better teeth over a longer period of time. Most dental problems that occur are not readily seen or felt by the patient until they have progressed to a critical stage. If you feel the results of the cavity or the tarter penetrating the gum, you do have a serious dental problem and you should see a dentist as soon as possible. Prevention is the key, and the two visit per year method has worked very well, as it reminds people to have their teeth checked, while otherwise they would probably not be as diligent. In reality, different people have different dental habits, where some people can actually go longer between visits. People who are very diligent in their brushing and flossing habits will generally have cleaner teeth over time and they will not need as much restorative care. However, if a person’s dental hygiene habits are poor, or non-existent, they will require more restorative work in the way of fillings and more extensive gum treatment. Therefore, the two visits per year has not only made it possible for people to get into the habit of seeing the dentist on a regular basis, but it has had the effect of catching more problems in their earlier stages. This simple habit formed by an educated guess by earlier dentists has gone a long way in saving thousands of teeth which might have otherwise been lost due to people putting off seeing the dentist. Nowadays, the two visit per year procedure starts with the kids, the younger, the better. Kids eat food too, and they have the same problems adults do with brushing and flossing. 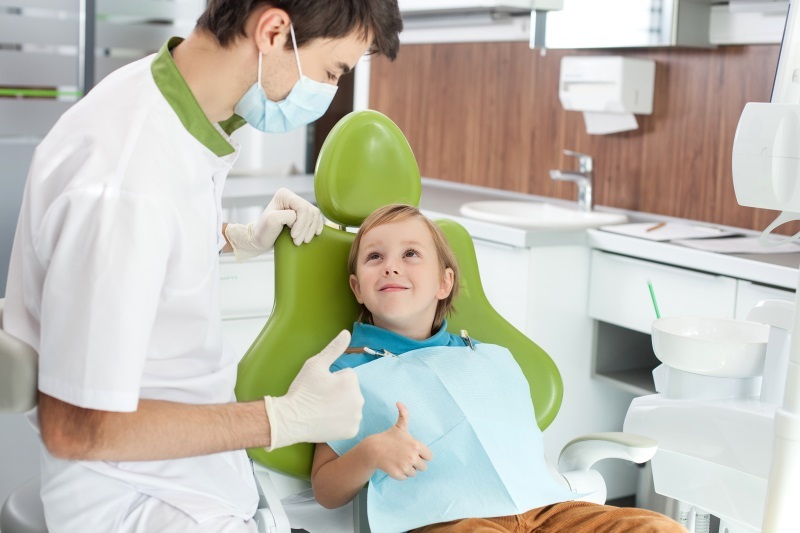 Getting children into the habit of taking care of their teeth at home, and then seeing the dentist on a regular basis for cleanings and checkups has been extremely beneficial in the whole process of dental care.